Alibaba Group reportedly plans to acquire the Chinese mobile music player startup TTPod to enhance its exposure in the mobile sector. Though Alibaba has not yet published any official announcement of this purchase, a representative from its own music business division revealed to local media that the deal was almost closed. TTPod was founded in May 2008 and it focuses on providing digital music interactive services on the mobile Internet. It claims to have 300 million users. The company received its first-round investment in 2011. At the end of 2012, Alibaba made an undisclosed strategic investment in the business. This time Alibaba decided to invest additional funds to acquire this mobile music player company's assets. Alibaba already has a presence in the Chinese music sector with its recent acquisition of Xiami.com, an Internet digital music website in China. Following this acquisition, Alibaba established its own music business unit. After acquiring TTPod, Alibaba will apparently integrate its services with Xiami.com. Over the past 12 months, Alibaba made lots of investments in the mobile sector. 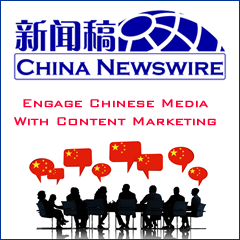 Its existing partners include AutoNavi, Sina Weibo, Kanbox, and Umeng. Alibaba Group is the promosing chinenese mobile music player industries growing up in the mobile sector.Its existing partners include AutoNavi, Sina Weibo, Kanbox and Umeng.